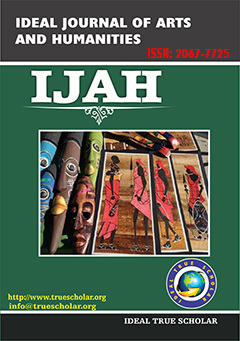 Ideal Journal of Arts and Humanities “IJAH” is an online International Journal of Art and Humanities. It is is a double blind, peer reviewed, open access referred Journal having a brand value among the world’s best Humanities Journals. We publish peer reviewed manuscripts focusing on theoretical and empirical research in the Arts, Humanities and Social Science areas with the objective to explore the information on the latest trends, Innovative ideas and developments in these fields. The journal welcomes the submission of manuscripts with the theoretical or empirical aspects of related areas.